Jamie focuses on a wide range of complex commercial disputes. She has experience taking cases through trial and appeal in Colorado, Missouri and Illinois, where she is licensed, as well as various other state and federal courts. Jamie has frequently worked with clients across industries on real estate, transportation, health care, financial, insurance, and cannabis business disputes. 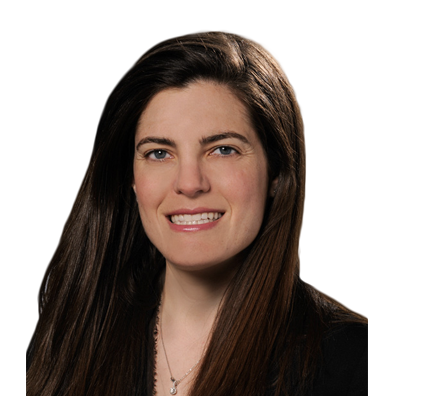 Jamie has successfully first-chaired bench trials in state court, argued and defended dispositive motions, argued for and against preliminary injunctions and taken and defended countless depositions, including expert and 30(b)(6) depositions. She has also assisted in the settlement of high-stakes cases at mediations and through informal settlement discussions. Jamie enjoys working with her clients to offer creative, lasting and economically sound solutions to their business disputes, whether those solutions involve litigation or a less onerous path. Assisted in the favorable settlement of the first Colorado wrongful death, failure to warn cannabis lawsuit. Successfully first chaired a bench trial in Colorado state court, in which client won specific performance on the client’s right of first refusal in a commercial lease agreement. Argued and defeated a preliminary injunction motion related to enforcement of a non-compete and other contractual provisions, which would have effectively put client completely out of business. Argued and won summary judgment for land developer in a declaratory action regarding the client’s constitutional rights to continue development, in the face of a retroactive citizen’s referendum vote to ban further development. Served as national discovery counsel for a large moving and storage company. Advised client on the internal company investigation and response to federal government subpoenas in a high exposure propane explosion case. Defeated appeal in Illinois state court related to our client’s enforcement of an arbitration agreement. Lead the representation of a non-profit client in the prosecution of its former payroll company for fraudulent actions, and recovered over $100,000 for client after successfully obtaining a pre-judgment writ of attachment. Participated in the discovery phases, bellwether trials and settlement of pharmaceutical MDLs across several jurisdictions.